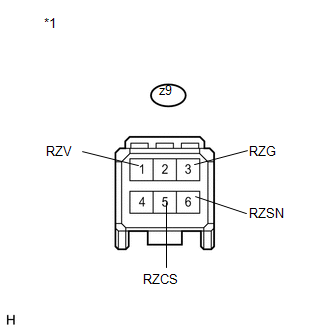 (a) Check the installation condition of the motor rotation angle sensor connector. 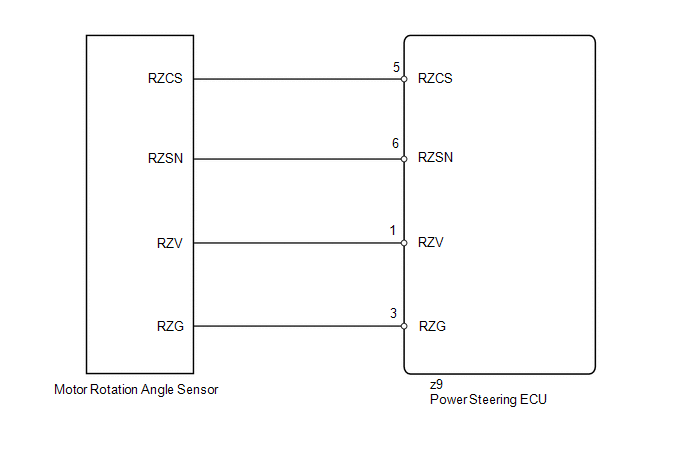 Motor rotation angle sensor connector is securely connected to the power steering ECU. (f) Select the item "Motor Rotation Angle" in the Data List and read the value displayed on the Techstream. During steering operation, motor rotation angle value changes from 0 to 360°. (a) Disconnect the connector from the motor rotation angle sensor.